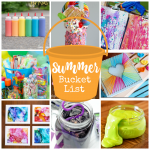 A Peek at the Fun: Looking for a fun way to kick summer off right? 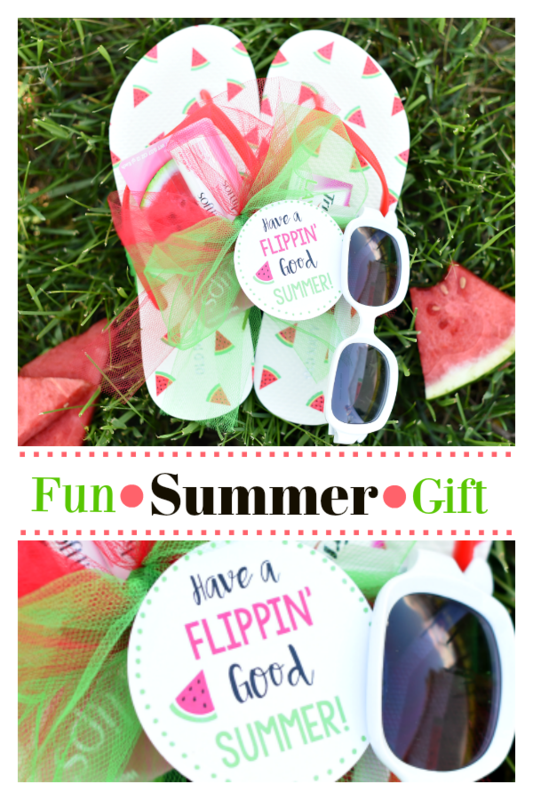 What about giving some fun summer gifts like this cute flip flop gift idea?! It’s time once again to bust out the piña colada sunscreen, sit pool side and do nothing but soak in the sun. 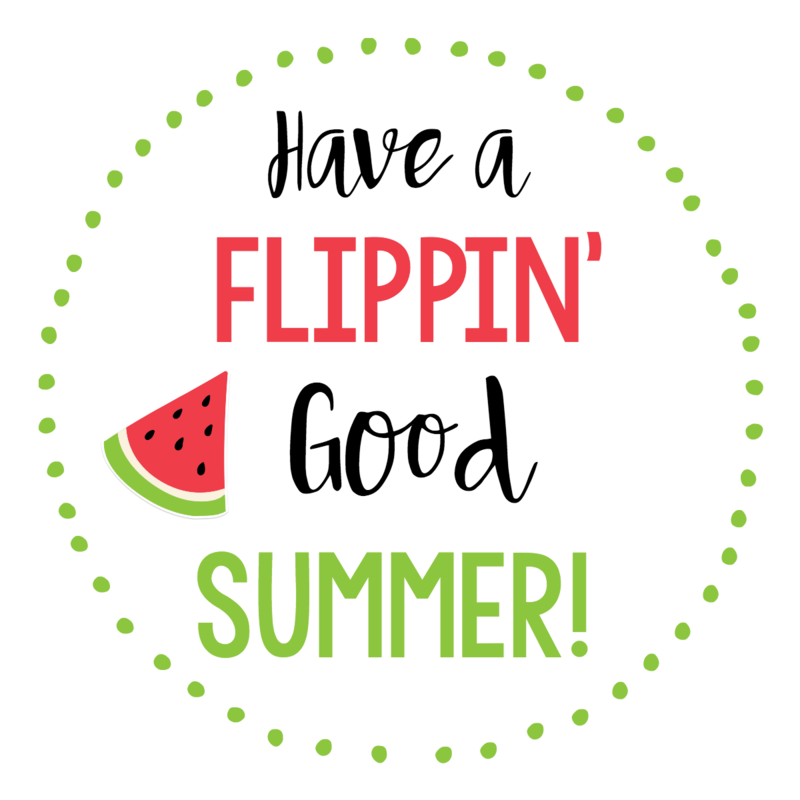 That’s right folks, it’s summer, which is pretty much the best time of the year! We look forward to summer all year, literally…all year, so when it’s finally here we are ready to PARTY. 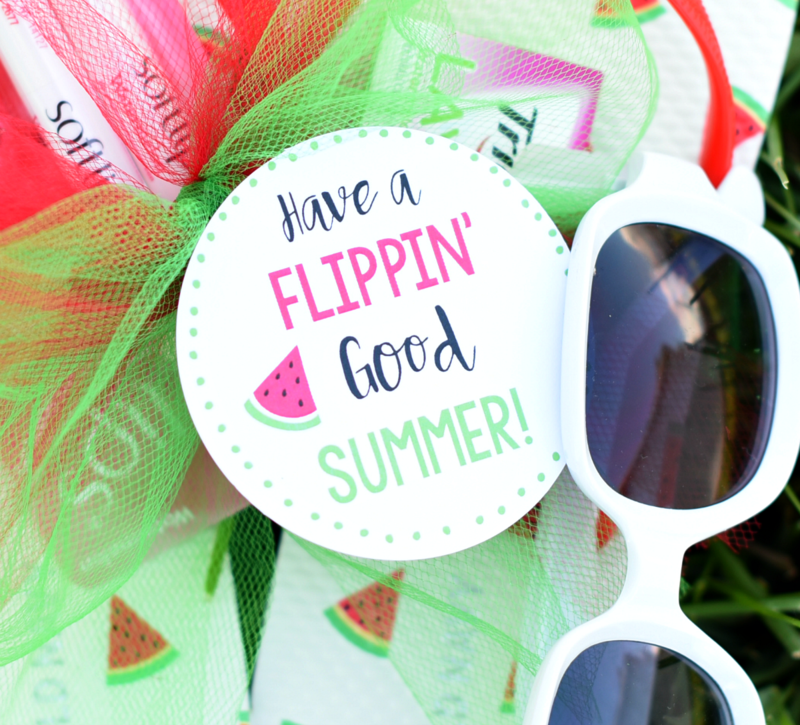 If you have a love affair with summer like we do, you will absolutely LOVE this flippin’ fun summer gift idea! 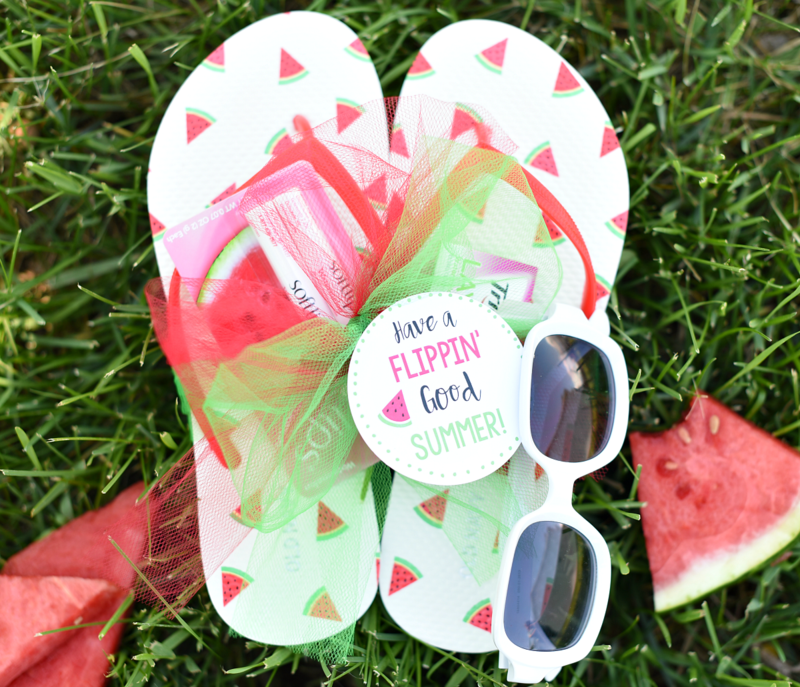 Summer gifts are always so bright and cheery, and this flip flop gift is no exception. 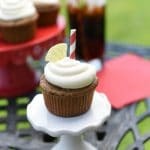 So simple and fun, it’s perfect for anyone! Doesn’t this just scream summer!? And seriously, it doesn’t get any simpler than a pair of flip flops and sunglasses. We have the cute tag all ready for you, so half your work is done. Here are some ideas for your Flippin’ Fun Gift. 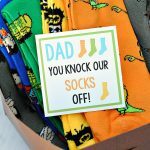 You really can add anything to this flippin’ fun gift, just make sure to include the flip flops! 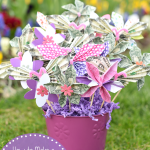 We simply tied everything together with a fun ribbon and tucked all of the items in it. 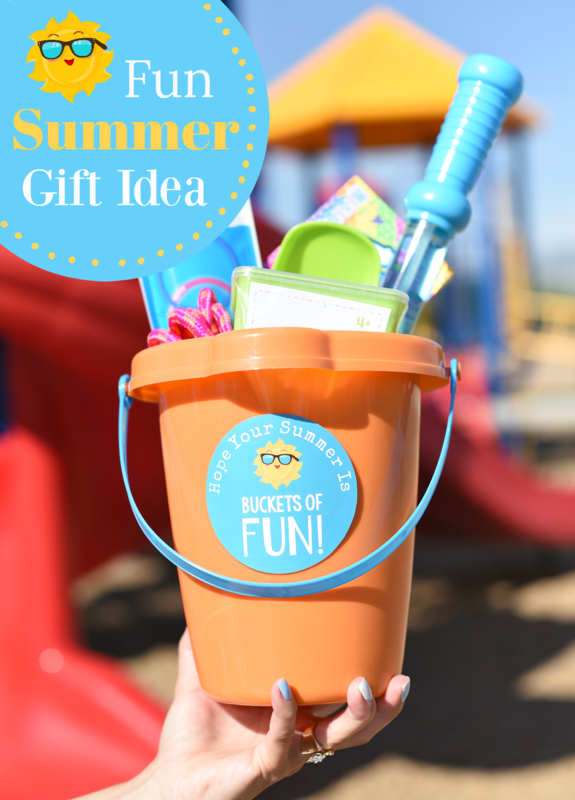 Another option could be adding all of these fun things in a summer tote and hooking the tag on the handle. 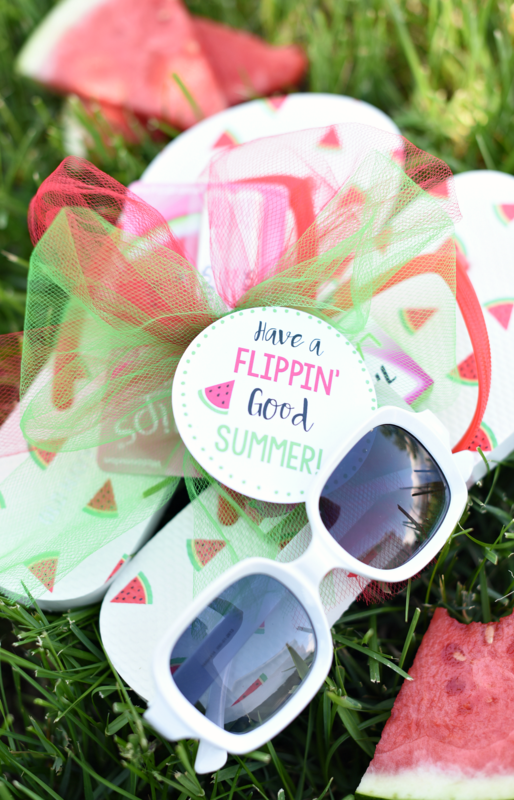 You really can’t go wrong with summer items…they are just too much fun. As we mentioned, we have this cute tag all ready for you to print. Simply right click and save it, open in a program like Word or Pages on your computer, then size how you want, and print. Or we have a page all ready for you to print with several tags that are different sizes on it. 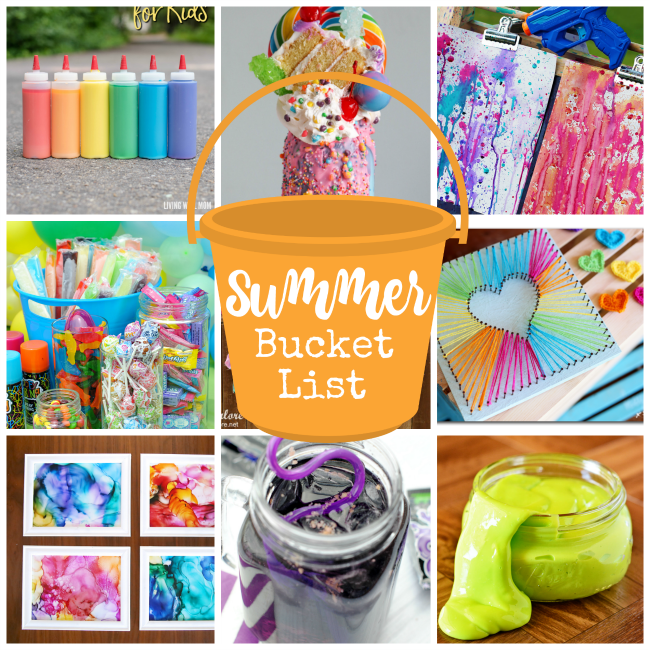 Have FUN giving summer gifts this year! Love it! 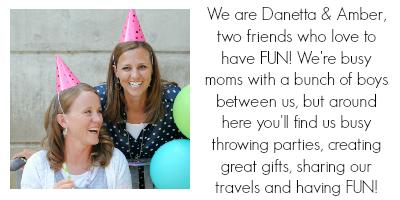 What a great idea for a friend, kids or neighbor to kick off the summer!